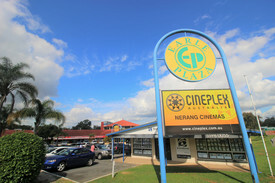 46 Commercial Real Estate & Properties in Nerang are listed in 6 categories. We have 17 OfficesLease , 10 Industrial Warehouses Lease , 9 Retail ShopsLease , 8 ShowroomsLease , 1 Medical and Consulting PropertiesLease and 1 Other Commercial PropertiesLease . Free Parking | Excellent Amenities | Fully Furnished $85pw | 1 Person Workspac..
PROPERTY OVERVIEW $85pw Price incl. Professional and cost effective office space for rent in Nerang. Internet, outgoings, electricity and full office furniture is already set up and included in the rental rate for you to enjoy a faster move in and reduced costs at this shared office space. More benefits are the free to use meeting rooms and modern printing/scanning facilities. Perfect for small businesses, freelancers and entrepreneurs who mainly work at their desks or are looking to register their office in a regional area in Queensland (4211), this sleek coworking setup will help you establish and grow your passion in a comfortable and hassle free office space. This boutique office building is located on Nerang Street in the heart of Nerang. Nerang is known as the gateway to the Gold Coast and this office space enjoys beaches to the east and hinterland to the west. The attractive low rise has a welcoming beachy look and features air conditioning, modern interiors and your branding at reception. There is plenty of street parking in the area and it’s a couple of minutes’ drive to great cafes, shops and cinemas in central Nerang. 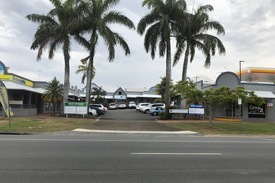 Transport to and from this office space is easy – there are bus stops nearby, good access to the Pacific Highway and it’s a 20 minute walk to Nerang Railway Station. The advertised office space is perfect for a team of 1. If you need more or less space, we have over 30,000 furnished workspaces all over the world suitable for a team of 1 to 200+. Our award winning team offer a free service that will help you find the perfect solution for your needs, so reach out if you need more help. What you get for your weekly rent , 24/7 Access , 24/7 Security , Access to secure printer and scanner , Building outgoings included , Commercial grade internet (Free) , Dedicated desk with 24x7 Access , Electricity usage included , Flexible lease terms from 1 month , FREE use of community meeting rooms Building features , Air conditioning , Car parking Street (Free) , Company Branding at reception , Contemporary fit out , Print, scan and copy facilities , Professional working environment , Retail and shopping malls nearby , Shared office space 3min drive to several shopping, cinema and cafe's around Nerang 300m to Arthur Earle Park 150m to bus stop, routes 735, 736, 740, 746, 749 Easy access to the Pacific Motorway 1.6km to Nerang Railway Station WHO IS OFFICE HUB? Office Hub has largest collection of shared office space, sublet office space, creative coworking office space and serviced offices, perfect for 1 200 employees. Let us take you on a tour of all the spaces that fit your needs and budget. Our service is complimentary and we work for you and the landlord to negotiate the most competitive deal in the market. Let us show you how shared and serviced offices can be the perfect solution for your business. www.office hub.com.au www.office hub.co.nz Conditions apply A portion of the square meterage factors in access to shared space. The advertised price includes any incentives offered based on a 12 month agreement. If a shorter period is agreed to please note the price may increase accordingly. This promotional offer for new tenants only and may be withdrawn at any time due to space availability. Rarely Available High Exposure Retail / Office! 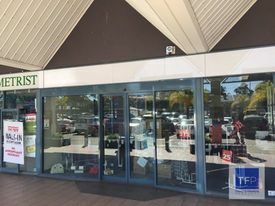 $4,872pcm + GST (Includes..
Brandon Johnson is proud to present this ground floor high exposure retail / office space in the heart of Nerang, just off the M1 Motorway. 158m2 High exposure with multiple signage options Air conditioned Small complex Plenty of parking Kitchenette Available now! This one wont last long Call marketing agents to inspect 7 days! For further information please contact Brandon Johnson click on the link above. Approximately Disclaimer: Ray White has not independently checked any of the information we merely pass on. We make no comment on and give no warranty as to the accuracy of the information contained in this document which does not constitute all or any part of any offer or contract by the recipient. Prospective purchasers / lessees must rely on their own enquiries and should satisfy themselves as to the truth or accuracy of all information given by their own inspections, searches, inquiries, advices or as is otherwise necessary. No duty of care is assumed by Orchid Avenue Realty trading as Ray White Surfers Paradise Commercial divisions toward the recipient with regard to the use of this information and all information given is given without responsibility. Sizes range from 175m2 13,700m2 Strong anchor tenant Grease traps available High clearance showroom 360 onsite car parks One of Queensland's fastest growing suburbs Air conditioned throughout Easy access to M1 motorway Great signage opportunities Suitable for multiple uses Approx Disclaimer: Ray White has not independently checked any of the information we merely pass on. We make no comment on and give no warranty as to the accuracy of the information contained in this document which does not constitute all or any part of any offer or contract by the recipient. Prospective purchasers / lessees must rely on their own enquiries and should satisfy themselves as to the truth or accuracy of all information given by their own inspections, searches, inquiries, advices or as is otherwise necessary. No duty of care is assumed by Orchid Avenue Realty trading as Ray White Surfers Paradise Commercial divisions toward the recipient with regard to the use of this information and all information given is given without responsibility. Situated in Nerang, this retail space is perfect for an operator looking to take advantage of a fully fitted Takeaway Shop. Positioned with high exposure this retail lot at Petro's Corner offers; 100m2 Walk in and start serving customers grease trap, exhaust canopy and many other fittings For more information please contact Adam Grbcic.